Dr. Hany Abdelrahman Moustafa completed Bachelors in Medicine and Surgery and Master Degree of Critical Care Medicine from Faculty of Medicine, Alexandria University, Egypt. Dr. Hany Abdelrahman Moustafa’s work experience spans 15 years in various international hospitals in Middle East namely as a Critical Care Lecturer in Critical Care department in Alexandria University, Egypt; as a Critical Care Medicine Specialist in Dr. Ibrahim Obeid Specialist Hospital, Alexandria, Egypt; as a ICU Specialist in Saad Specialist Hospital, Saudi Arabia and as a Critical Care Medicine Specialist in Dr. Sulaiman Alhabib Hospital, Saudi Arabia. 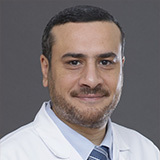 Dr. Hany Abdelrahman Moustafa has attended several medical conferences in Critical Care Medicine, Cardiology and Emergency Medicine in the Middle East. 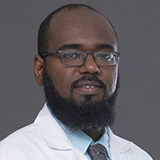 Dr. Hany Abdelrahman Moustafa is a Member of Saudi Critical Care Society. 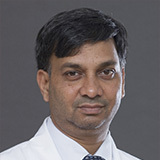 He has attended Advanced Life Support Course and Basic Life Support Course. Dr. Hany speaks English and Arabic.